Osuna Auto Glass provides same day auto glass replacement services for all makes and models of automobiles, trucks, and commercial vehicles. Most installations and repairs are performed while you wait and done within one hour. We offer original equipment from the manufacturer as well as aftermarket parts. Here at Osuna Auto Glass we also offer used original parts for half the price. Call now for availability. Very Good all the way around! Eddie was amazing with details and explaining everything to me. Installation and removal was all done in 45 minutes. The business is located on a street with multiple businesses providing services such as tires, window repair and tint. The guys that removed my window spoke very little English, but were very helpful and had manners. They said hi and let me know when it was complete. The price I received was $160 cheaper than everywhere I called. I am truly happy with my experience and no longer scared to drive on the road. Recommend this place to everyone! by the way, I received a receipt as well. I am so happy I came here! My windshield had a crack in it from a rock that flew off a truck months ago. I took it to Safelight for an estimate and their prices were through the roof. So I did a little research and called Osuna’s for an estimate. I brought my car in that same day and got the best quality glass for a great price! I am very satisfied with my new windshield. Will defenitely recommend this business to family and friends. 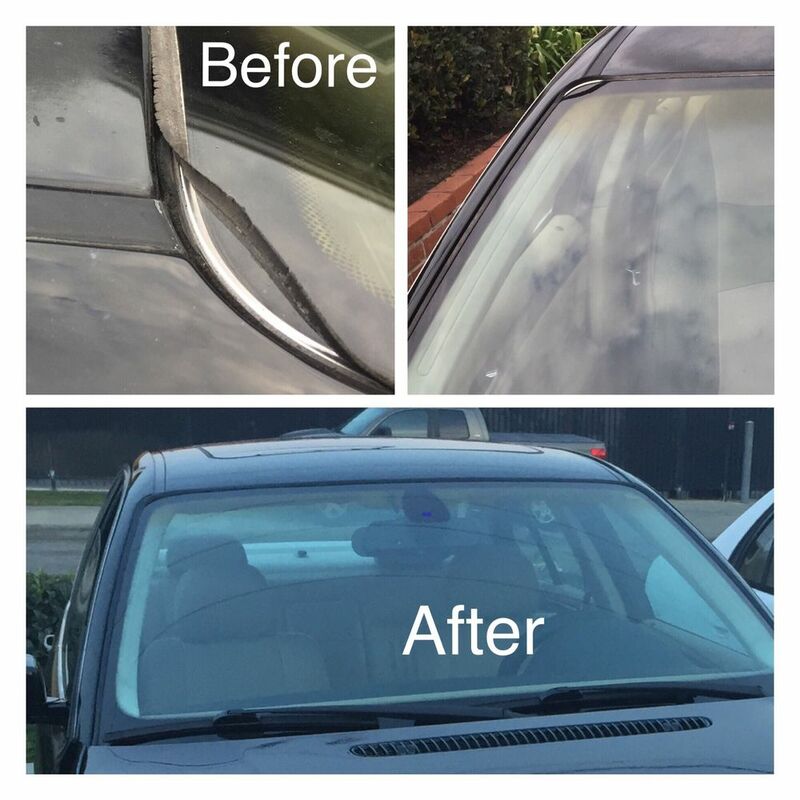 They have fast, quality and affordable service for your windshield issues. I found this place through yelp and tried the yelp quote request and Eduardo was fast to respond. Very courteous and honest. His customer service is excellent. I dropped by to have my BMW 330i windshield rubber moulding replaced. They did it fast and they did not require to remove my windshield to replace it. Replaced my windshield here for a great price ! Friendly staff and quick service . I will definitely come here again for all my auto glass needs. Spoke with Eddie on the telephone: automatic~ I felt very at ease; when he was Alert to my needs regarding a windshield replacement! He was very nice & spoke with care & he new all the answers adequately & precise! He was very welcoming! He is a good example of Good worker & a customer service worker & he even checked on if he had it & he came right back on the phone with not really keeping me waiting max 1 min. Thank you Eduardo. Awesome service. The windshield you placed is perfect. Great price. Requested a quote and I got an answer in less than 30 minutes. Took my car and got it fixed the same day I strongly recommend this place. AMAZING service!! I found my car window smashed in around 9am. By 12:30, I was driving away with a brand new window! They cleaned up all the glass shards from the break in and expertly installed the window. They even threw in a small discount off the already great price! Hopefully I won’t need it, but if I do, I’ll definitely be back!! This place is very affordable and professional… Other places around here try to hustle you for your money but this place is honest and reliable. Very honest and I appreciate everything about it. With so many place on Alameda it can be a little tricky at times. Highly suggest this place. Thank you so much!!!! !